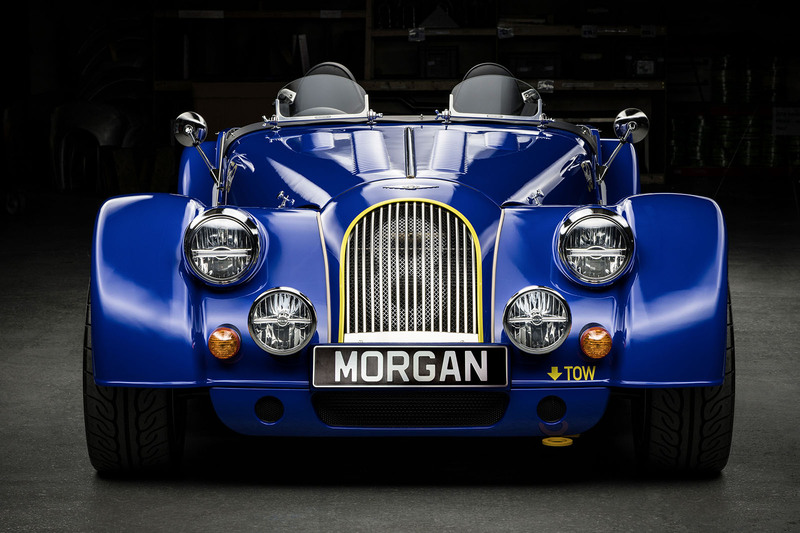 Morgan is marking the 50th year of its Plus 8 sports car with a new special edition of which just 50 examples will be produced. Revealed at the Geneva motor show, the new 50th Anniversary model will be among the very last cars to use a BMW N62 V8 engine, which bows out with the Aero GT that’s also on show in Geneva. The Plus 8 50th Anniversary uses an identical specification version of the naturally aspirated 4.7-litre engine, which puts out 367bhp and 370lb ft of torque to enable a 4.5sec 0-62mph time and 155mph top speed. The Plus 8, which is built around a bonded and riveted aluminium chassis, weighs 1100kg dry, giving it a 315bhp per tonne power-to-weight ratio. It sends power to the rear wheels via a BMW six-speed manual gearbox or ZF six-speed automatic. The 50th Anniversary model doesn’t get any boosts to its performance, but it does receive a host of aesthetic changes to give it a completely bespoke finish. Two specifications are available: a blue Speedster open-top or a British Racing Green edition with a soft top. 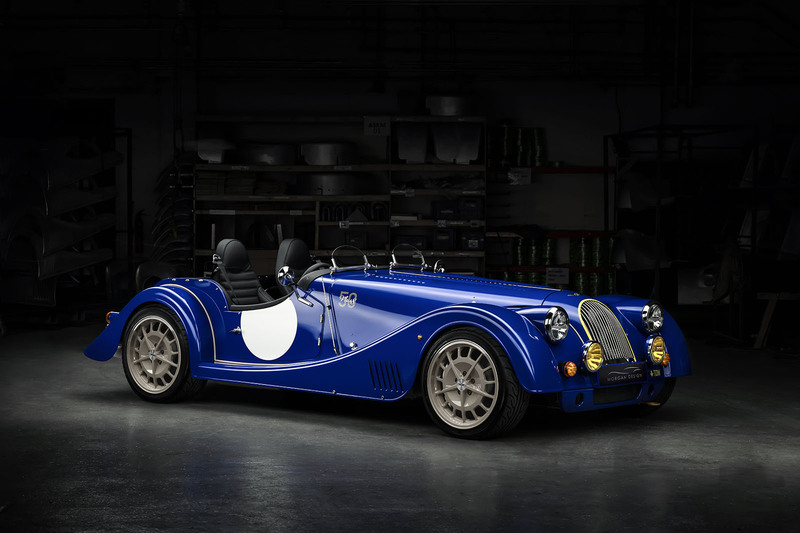 The former takes inspiration from the original MMC11 Plus 8, a racing model that was painted in blue when competing. 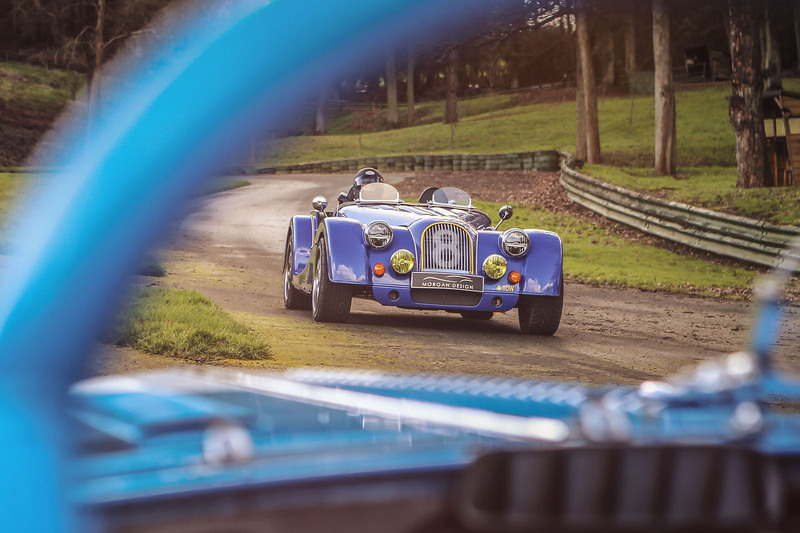 The latter, painted in a patriotic green that’s said to have been the most popular for Morgans in its 109-year history, is described as a “traditional convertible”. Each car gets a spun aluminium dome on its rear panel, a nod to the spare wheels of the original cars, as well as new five-stud wheels that are painted in a classic champagne colour. Each car costs from £107,500 excluding local taxes, so that’s £129,000 including VAT. Both right- and left-hand drive cars are available. The car also comes with a commemorative time piece, a C1 Morgan Plus 8 Chronometer Anniversary produced by British watch company Christopher Ward.